It has been more than fifteen years since I posted on timezone. Too many years ago I inherited a Vacheron 39007 which has always been kept in the box. I did a web search but could not find anything about this particular model. The Patek Philippe magazine I receive always has articles with the history of the brand different models. Does anyone have information about it? It was made in the 1970s and uses a cal. 1015 manual movement. Should have been made sometime in the 1970s, but would need the serial numbers checked with VC to confirm exact year of manufacture. You can contact VC through their Concierge Service that can be found at their website. Thank you, I have that information but I wanted to know more about the design. For example in my last issue of the PP magazine there is thorough article with the history of the Golden Ellipse. I was looking for a similar article for the 39007. 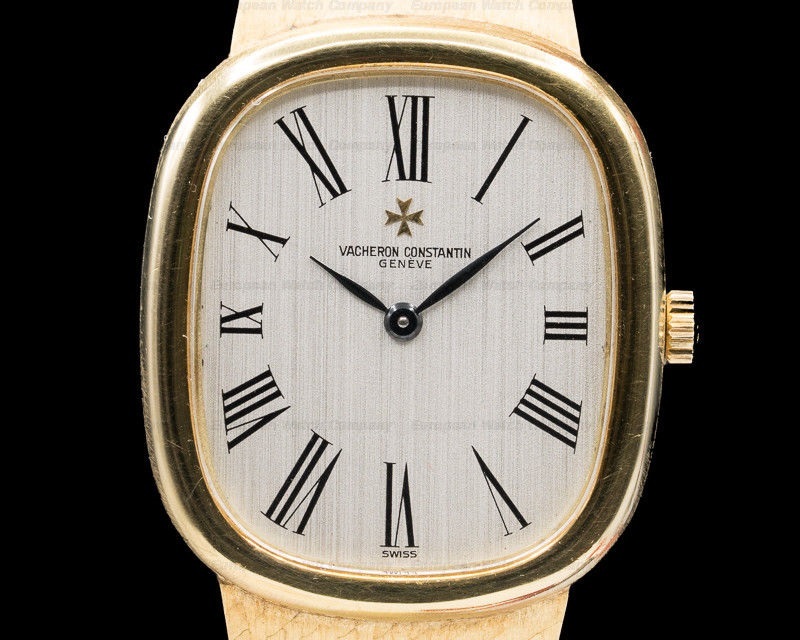 Vacheron Constantin 39007. Has a scratch resistant sapphire crystal. It has a pull out winding crown, and a solid snap on case back with a serial number. The 28mm x 32mm rectangular tonneau solid two-body case, hooded lugs, and rounded bezel, are polished/brushed. The dial is white with black Roman numeral hour markers, blued dauphine hands, and there is an applied gold Vacheron cross underneath the 12 o'clock position. Given your screen name and your references to the PP Ellipse, I can well understand your interest in this Vacheron reference. Whereas the Ellipse is an iconic model for PP, deserving of an article in the brand's magazine, I doubt you are going to find such a detailed overview of the ref. 39007. Although beautiful, it simply is not an iconic model for VC. Vacheron has its own iconic models for which copious amounts of information and articles can be found. You are going to have to do some work in researching the 49007. It was a good idea to post here to make a general inquiry as a start. Researching some lesser known models from brands like PP and VC can be enormously rewarding in and of itself. I wish I had some information beyond what dshao1 posted already in his response and beyond what you already know. Thank you for your note. I do have an Ellipse but it has been a nightmare almost all its life. I bought it at PP on Rue du Rhone so it was a new watch. It could have been just bad luck but after spending $1,400 for the last service - new hairspring, crown, etc - I decided to keep it in the box. I have not been wearing anything for the past three years. Then, I found a VC Ellipse 39007 last week and I liked it but it came with an integral 18k yellow gold mesh bracelet, the old style bracelet that is barely seen nowadays. I would like to attach a photo but I do not have a URL link. Most other fora have a manage attachment option to upload a file from a computer.